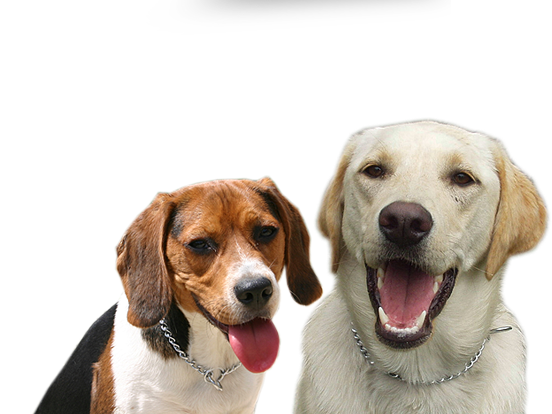 For more than 15 years, dog owners in Markham and the surrounding area have trusted the professionals at Alpha Paws to provide effective obedience training programs as well as help in resolving behavioural issues for dogs of all ages. 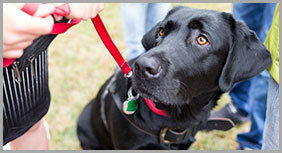 The highly skilled trainers at Alpha Paws have the knowledge and capabilities necessary to assist dog owners in developing and sustaining long, healthy, and mutually-gratifying relationships with their canine companions. When a family decides to buy or adopt a dog, such an act includes the inherent anticipation of a lasting relationship that will provide considerable happiness and faithful companionship. However, the exhilaration and joy of bringing a dog into the home can turn into frustration rather quickly should any housebreaking and/or obedience training efforts not produce their desired responses and behaviours. Similarly, should the dog develop any undesirable traits such as aggression or the fondness for destroying property, it can form the basis of a highly stressful home environment – for both the dog and its owners. 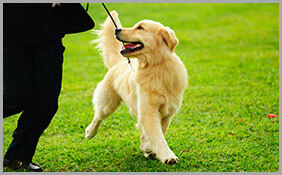 Therefore, when dog owners in Markham are looking to avert or correct such circumstances, they may find it beneficial to call the specialists at Alpha Paws at 647-694-4584 to learn more about obedience training classes or programs designed to resolve behavioural issues. 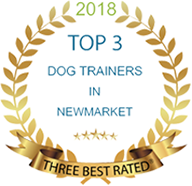 A professional trainer from Alpha Paws can recommend and design a specific program based on the age of the dog and/or any distinctly identified training needs or behavioural issues. Regular exercise, even a less vigorous activity like a walk in the park every day, has been recognized as a contributing factor to a happy and healthy relationship between a dog and its owners. And dog owners in Markham have a wealth of alternatives to exercise their dogs throughout the year while simultaneously appreciating the beauty of the local area. To set a proper foundation for a happy, healthy, and long-lasting relationship with your dog, call Alpha Paws today at 647-694-4584 to speak with one of our training professionals to request additional information on any of our dog training programs.